Marks and Spencer is a name that shoppers everywhere associate with quality and reliability. A high-street favourite for generations, M&S can be depended on for your every need with their extensive range of foods, clothing, homewares and more. 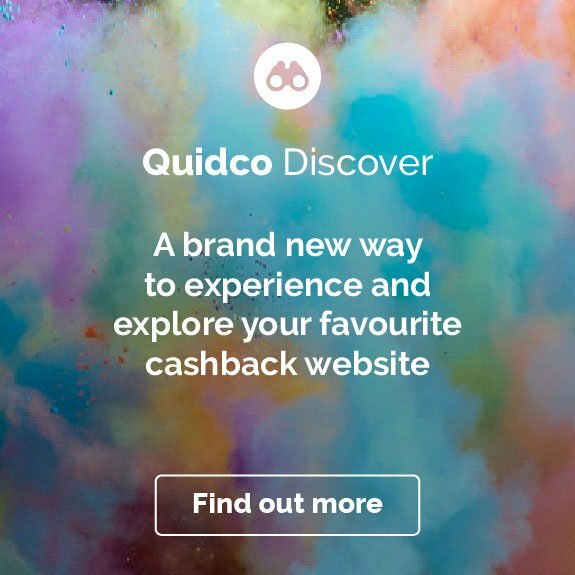 Whether you’re hunting for a bargain on high-end makeup brands or hoping to save on school shoes, Quidco can help you earn M&S cashback on all sorts of items. 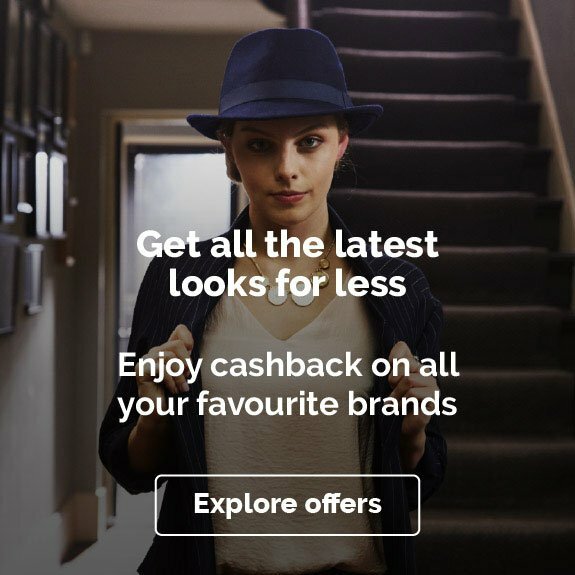 Take advantage of Quidco’s discount codes, voucher codes and cashback offers to get even more for your money and earn cashback on your purchases when you order with Marks and Spencer today. Do you want to know how to make the most of your M&S cashback? Read on to get inspired on how you can start saving! Make M&S your place to shop for all of your Easter weekend essentials. Whether you’re planning on relaxing with loved ones or you’re hosting a party for friends and family, you can find everything you need at M&S. Shop via the links on this page so you can earn cashback on all of your Easter presents, groceries and more. If you’re planning on a big party to celebrate Easter this year then look no further than M&S. You can find everything you need under one roof for the perfect party. Plus, you can earn cashback when you shop through the links on this page. Pick up some party food and sharing platters to wow your guests when they come over for Easter celebrations. Choose from luxury antipasti canapés, buffet essentials such as mini pork pies and sausage rolls, fresh fish canapés and mouth-watering mini quiches. With all this delicious food, your guests will need something to wash it all down with. Check out M&S huge variety of alcoholic beverages with great deals on wines, prosecco, champagne and liquor. Try zesty whites, full bodied reds and a bit of fizz for those who fancy it. If you’re all partied out, or partying simply isn’t your style, then head to M&S to get some essentials for creating a wonderful, relaxing atmosphere at home with your family. Pick up everything you need to have a superb Easter weekend with friends and family, from Sunday roast ingredients to Easter gifts and chocolates. If you’re planning on having an epic roast on Easter Sunday, then where better to pick up some quality ingredients than at M&S? Choose from delicious joints of ham, beef, lamb and chicken, sides of salmon or haddock loins for the main course. Add sides such like super green vegetables, roast potatoes and beef dripping, potato salad and Mediterranean roasted vegetables. If you’d rather spend less time in the kitchen you can make it as easy as you like, with ready-to-cook roasts, easy to carve joints and already prepared greens. Simply shop online and have them delivered straight to your door and ready to cook with minimal effort! 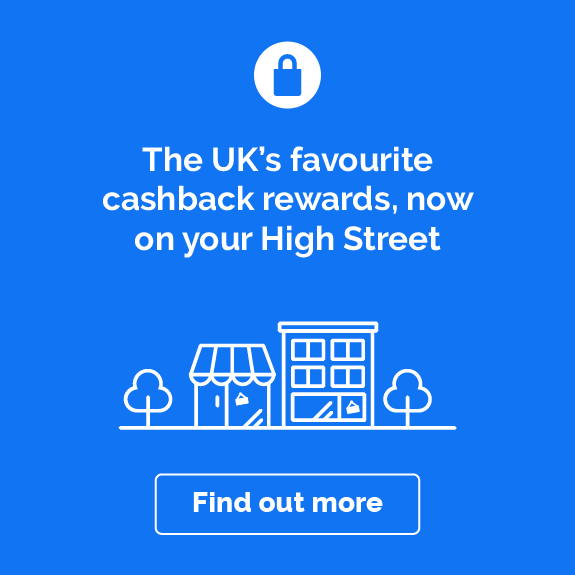 And when you shop through the link on this page you can even earn cashback, so you can save a bit of money at the same time. If you’re looking to get some presents for your friends or family this Easter then M&S has got you covered with a great range of toys and presents for adults and children alike. Shop for baby gifts and make their first Easter a memorable one with a new cuddly toy or a cute comforter. Or, choose from little rompers, socks, bibs and booties to spoil them with. If you’re looking for grown up gifts then M&S have a huge range of beautiful Easter gifts. With everything from flowers, clothes, food, accessories and fragrance, you can find something for every member of your family at M&S. Don’t forget to shop via the link on this page so that your cashback tracks correctly! Pick up fresh flowers and plants to give your home a beautiful spring makeover to welcome guests into your home. Shop for spring flowers such as daffodils and tulips or go for a bunch of spring wild flowers, or a brightly coloured bouquet. They’re perfect for brightening up your home and welcoming in the new season! If you’re looking for some extra special chocolate eggs this year then M&S will have you spoilt for choice. And, if you want more than chocolate eggs, M&S also has a selection of chocolate box assortments so you can really indulge over the Easter weekend. Pick up mini chocolate eggs or a giant jar of eggs and have an Easter egg hunt for the little ones on Easter Sunday and really make it a fun day! Make Marks and Spencer your go-to for wedding essentials this year. And take advantage of Quidco’s cashback offers, so you can save some money on what is an expensive occasion! Whether you’ve been eyeing up M&S wedding cakes, M&S wedding stationery or you’re looking for a fabulous wedding guest outfit then check out what Marks & Spencer has to offer. Marks and Spencer has an excellent choice of wedding cakes, made to order and ready to collect within 21 days from a store of your choice. For your dream day, you deserve a show-stopping cake, and Marks and Spencer has quite the collection. You can shop for traditional wedding cakes such as a tiered chocolate sponge cake, adorned with roses sculpted from white chocolate icing, or an embroidered lace wedding cake with white icing. Or if you want a more contemporary cake like the naked vanilla wedding cake — which has three layers of all-butter sponge filled with vanilla buttercream, and is ready for you to decorate with fruit or flowers. Go for something really flavoursome, with a two tier salted caramel and chocolate truffle cake that’ll have your guests talking about for days after! Other wedding cake options include pretty cupcakes that are perfect for handing out to guests so they can enjoy them after dinner with a cup of tea or coffee. And if you really want something different, why not try Marks and Spencer’s cheese wedding cake that comes with five different cheeses; perfect paired with M&S crackers, chutney and pickles. Or why not have something completely different and go for a tiered pork pie wedding cake? It would be delicious served with Marks and Spencer’s chutney! Don’t leave your invites until the last minute, follow the links on this page to the Marks and Spencer website and pick up everything from wedding invitations, R.S.V.P cards, engagement party invites and hen party invites. You can choose a card and then personalise it with names, dates and messages inside. Whether you’re having a civil ceremony or a church wedding, you can find suitable cards on Marks and Spencer’s website. As well as invitations, you can also pick up thank you cards for bridesmaids, wedding order of service cards and wedding menu cards, so you can keep your guests informed of the days proceedings and make sure you know exactly what your guests are going to be eating. If you’ve got wedding invites pouring in then, it’s time to find a fabulous outfit. On Marks and Spencer’s website, you can shop for beautiful wedding guest outfits such as floral midi dresses, lace bodycon dresses and long sleeved floral tea dresses. Pair with some Marks and Spencer’s stiletto heels and a flower fascinator and you’re good to go! If you don’t fancy wearing a dress then you can also pick up wide leg trousers and long sleeve, satin blouses. Add a nice handbag and a silky floral scarf to complete the look. Marks and Spencer has an excellent range of good quality wedding gifts, from practical homeware, to hampers and keepsakes. Shop for stunning dinner sets and gift the newly weds a beautiful 12 piece dinner set that are perfect for using when entertaining guests. Or give them the gift of new bedding, with a luxurious bed set from M&S. Shop Marks and Spencer’s autograph range and pick up super soft Egyptian cotton bed covers, or why not go for a plush throw for the end of their bed? They’re perfect for the newly weds to cuddle up with on a cosy night in. If you would prefer to treat them to something a little bit different then go for one of Marks and Spencer’s hampers. Choose from Champagne & Chocolate hampers, or the Kensington Teatime Treats hamper filled with everything you need for afternoon tea. Packed to the brim with scones, victoria sandwich cake, raspberry jam, tea and prosecco, it’ll make a delightful gift for the newly married couple. Or, if they prefer savoury treats, why not go for the Tasty Tuck Box that is filled with crisps, pork scratching, biscuits, chocolate and beer. Delicious! Marks and Spencer’s wedding and bridal bouquets are made to order and ready to collect in just 21 days. You simply have to order online, sit back, relax, and wait until you can collect them. Shop for gorgeous bridal bouquets and coordinated bridesmaids bouquets. From luxury pink and white roses to white roses and freesias, there are tons of beautiful bunches. It doesn’t just stop at bridal flowers. Yweou can also shop for table flowers such as box flowers, orchids and even bay trees. Remember to shop via the links on this page so you can earn cashback on your wedding flowers! Why shop with Marks and Spencer? The first Marks and Spencer store opened its doors in 1884, and today the company boasts almost a thousand shops around the UK. And beyond the high street, customers can now shop online with the M&S website and app, meaning finding luxury food, quality clothing or the perfect gift has never been easier. What’s more, when Quidco members shop with M&S online, great deals are only a click away. The M&S food hall caters for every dining situation. If you’re entertaining guests, Marks and Spencer have got you covered with a great choice of fresh produce and a selection of vegetarian, vegan and gluten-free options to keep everyone happy. And for those of you simply looking to spice up your weeknight dinners there’s the celebrated range of M&S ready meals, the perfect solution when you don’t have time to cook. Why not browse the massive choice of wines at the Marks and Spencer wine shop and pick up a bottle or two for your next dinner party? Or if you’re more of a beer drinker, check out the fast-growing selection of M&S real ales, lagers and ciders, brewed under licence by some of Britain’s finest breweries. From statement dresses to jeans and other everyday wardrobe staples, Marks and Spencer have something for all tastes and occasions in their fashionable Per Una and Autograph collections, or their timeless range of M&S classics. You can also browse an enormous collection of top quality M&S lingerie and hosiery, designed with all shapes and sizes in mind. Look in the Marks and Spencer shoe section for every type of footwear, from trainers and work shoes to going-out heels, and add a touch of glam your look with Marks and Spencer’s dazzling selection of jewellery and watches. Top it all off with a visit to the M&S beauty range, which features cosmetics and toiletries from celebrated high-end brands as well as many of their own exclusive products. M&S is the go-to destination for menswear that is classic, high-quality and comfortable. Look to Marks and Spencer for the best in knitwear, shirts, coats and suits, with favourites like Autograph and Blue Harbour that offer menswear in both smart and more relaxed styles. And if you’re after sharp, elegant tailoring and tasteful design, look no further than M&S’s Savile Row Inspired collection. Finally, shop for M&S mens' shoes and any other accessories you might need – there's a huge choice of briefcases, bags, belts and more. The Marks and Spencer kids’ clothes section has clothing for children of all ages, from newborns to teenagers. Kit out your little ones at the M&S baby shop, where you can find adorable outfits and accessories for babies and toddlers, as well as an array of baby grows, blankets, toys and nursery furniture. As they get older, shop the Marks and Spencer childrenswear section for a great selection of well-made everyday clothing for kids up to 16 years old, as well as a range of school uniform clothes that can stand up to wear and tear. The Marks and Spencer website makes shopping at M&S even more convenient. It's a quick and easy-to-navigate online shopping experience that lets you browse the complete M&S range from the comfort of your own home. Filter options allow you refine your search by product type, brand, size and other categories. Sales and special offers are shown at the top of each page and every item listed comes with detailed images, comprehensive product information and customer reviews. If you’re browsing for clothes you can see photos of each item from multiple angles, select different possible colour options and even use the zoom feature to get a close-up view. Note that some M&S online offers may not be compatible with cashback deals. Check the terms and conditions. Use the Marks and Spencer click and collect system to pick up your food order from an M&S store near you. Although M&S does not offer food delivery (except on some food gift items), many other products such as clothing, cosmetics, and furniture can all be delivered to your home address. There's free standard delivery on orders over fifty pounds, and the option to choose a delivery date that suits you. Marks and Spencer even offers free next day home delivery on flowers, as well as free named day delivery on wine and food hamper orders over £100. And if you’re having second thoughts about a purchase, the M&S returns policy allows you to return it within 35 days for a full refund. Note that some food items may not be eligible for cashback – see the terms and conditions for more information. If you’re a fan of M&S why not sign up to “Sparks”, the new Marks and Spencer rewards card? As a member of the Sparks loyalty scheme, you can earn points on every pound you spend at M&S, which add up to big rewards, like exclusive access to special offers and previews of new collections. Pick up your Sparks card in store today and register online to start earning points right away. Take advantage of your Marks and Spencer cashback by getting a few friends together for a relaxed dinner party. Check out the range of M&S party food and ready meals, or use the M&S “Menu for 8” range to find a mouth-watering selection of dinner party menus, complete with main course, sides and pudding. Get a bottle of one of Marks and Spencer’s specially selected wines delivered straight to your door and maybe even splash out on a new M&S dinner set from the home shop. Be sure to check Quidco’s terms and conditions when buying M&S food, as some items might not eligible for cashback. Give your home and garden a makeover with a visit to the Marks and Spencer home and furniture shop. Whether you want to redecorate your living room or fit out the perfect nursery, you're sure to be inspired by the range of M&S furnishings and home accessories. You'll also find some superb M&S garden furniture, from simple table-and-chair sets to elegant rattan armchairs – perfect for relaxed summer days on the patio. Even better, most M&S furniture can be delivered straight to your door for free. Find the perfect gift for the man or woman in your life by choosing from Marks and Spencer’s selection of gift cards, hampers, watches, and jewellery. And if you're shopping for kids, the M&S site has toys, books and games galore. Meanwhile, if you’ve left it a little late, let M&S save the day with their free next day delivery on flowers. You can even add a personal touch by writing your own message. Check the terms and conditions when shopping, as some gift items might not be eligible for cashback. Sometimes you just feel like spoiling them! And since you're earning money back with your M&S cashback, you'll have some extra to spend on puzzles, toys and arts and crafts kits. Or if there's a special birthday coming up, shop M&S through Quidco to find cashback deals on M&S cakes, M&S party food and M&S decorations. Upgrade your daily beauty routine with skin creams and serums from top cosmetic brands like Ren or L’Occitane, or get your hands on salon-quality hair products from Bumble and Bumble. With money to be made back on Marks and Spencer’s wide range of makeup and perfumes, as well as a variety of men’s grooming products, there’s a little extra luxury available for everyone. Where is my nearest M&S shop? To find the exact location of your nearest Marks and Spencer, simply type your postcode into the store finder on the M&S website. The store finder will then provide you with a list of all your nearby M&S branches, along with their addresses and store information, ranked according to distance. However, with the M&S website and app, you can shop the full range of M&S products wherever you live, and can also access exclusive online sales, save money with discount codes and earn cashback. What are the opening times for M&S shops? Different M&S branches open at different times, depending on their size and location. To find out the opening and closing times for your nearest Marks and Spencer, use the M&S website’s store finder and click on the opening hours option for your specific branch. Adjusted Bank Holiday opening hours will be listed under ‘special opening hours’. For 24-hour browsing go to the M&S website, where you can place orders and earn cashback on your purchases at any time of day. When does the next M&S sale begin? The easiest way to find out about upcoming sales and special offers at Marks and Spencer is to register as a customer with M&S online. This way you can receive regular email updates and be the first to know about all the latest sales and promotions in store and online. You can find special offers and discounts displayed on the M&S homepage, and Quidco shoppers can earn cashback on purchases too. Check the terms and conditions when shopping, as some M&S offers are not eligible for cashback. What is the M&S returns policy? The M&S goodwill policy states that clothing and other purchases can be exchanged or refunded up to 35 days after they were bought or delivered, as long as a valid proof of purchase is shown and as long as they are in a suitable condition to be resold. Items bought in the sale can only be returned up to 14 days after purchase. Food and toiletries cannot be returned. What is a Sparks card? A Marks and Spencer Sparks card is a loyalty card that allows you to earn points whenever you spend money in store or online and whenever you leave a product review on the M&S website. Customers can check their Sparks balance on their online account through the M&S website or app, and can exchange points for a choice of rewards. Only selected food gifts and hampers can be delivered. However, you can order food for collection online, over the phone or in store. Use the postcode search at the checkout when you order online to find out which of your nearest M&S stores will accept your order. Food hampers cannot be collected and must be delivered to your home address. How much does M&S delivery cost and how long does it take? Standard UK delivery on most orders is free and your purchases will arrive within 3-5 working days. Alternatively, you can opt for next day delivery or a nominated day of delivery for an additional cost of £3.99. Free next day delivery is available for all flower orders made before 6pm. For delivery information on other product types, check the “Ordering, Delivery and Collection” page on M&S website’s “Help” section. If you’re looking to make even more savings on your Marks and Spencer shopping, then check out some of the special discount codes and voucher codes we have on this page from time to time. Whether you’re looking to shop for new clothing, shoes or accessories, or you want to update your home with some stylish décor pieces, then head to Marks and Spencer’s website through the links on this page. You can then earn cashback on any purchases you make and use the special promotional codes to make big savings. To save the most money on your shopping, please make sure you only use the discount codes and voucher codes provided on this page, as any other voucher codes from external sites may invalidate your cashback. 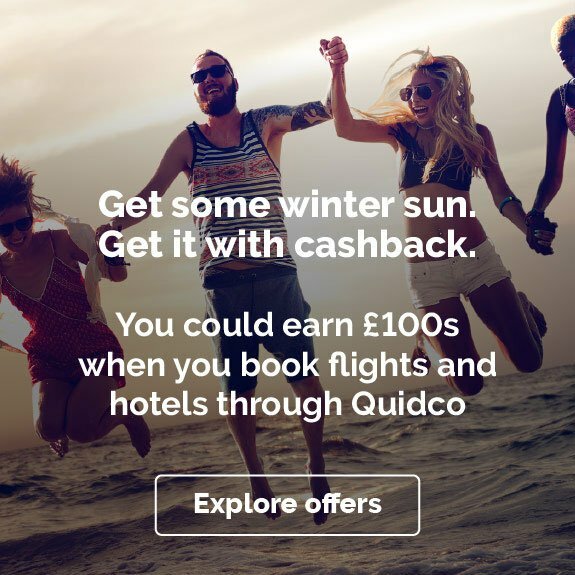 Come rain or shine, you can make big savings on all of your M&S purchases all year around with Quidco’s cashback offers. To find out how you can make the most of your cashback with Marks and Spencer check out some of the ideas below. Make Marks and Spencer your go-to for wedding essentials this year and take advantage of Quidco’s cashback offers so you can save some money on what is an expensive occasion! Whether you’ve been eyeing up M&S wedding cakes, M&S wedding stationery or you’re looking for a fabulous wedding guest outfit then check out what Marks and Spencer has to offer. Marks and Spencer has an excellent choice of wedding cakes that are made to order and ready to collect within 21 days from a store of your choice. For your dream day, you deserve a show-stopping cake, and Marks and Spencer’s has quite the collection. You can shop for traditional wedding cakes such as a tiered chocolate sponge cake, adorned with roses sculpted from white chocolate icing, or an embroidered lace wedding cake with white icing. Or if you want a more contemporary cake like the naked vanilla wedding cake, with three layers of all-butter sponge filled with vanilla buttercream, ready for you to decorate with fruit or flowers. Go for a really flavoursome cake with a two-tier salted caramel and chocolate truffle cake that’ll have your guests talking about for days after! Other wedding cake options include pretty cupcakes that are perfect for handing out to guests so they can enjoy them after dinner with a cup of tea or coffee. And if you really want something different, why not try Marks and Spencer’s cheese wedding cake that comes with five different types of cheese, perfect when paired with M&S crackers, chutney and pickles. Or why not have something completely different and go for a tiered pork pie wedding cake? It would be delicious served with Marks and Spencer’s chutney! As well as invitations you can also pick up thank you cards for bridesmaids, wedding order of service cards and wedding menu cards, so you can keep your guests informed of the day’s proceedings and make sure you know exactly what your guests are going to be eating. If you’ve got wedding invites pouring in then it’s time to find a fabulous outfit. On Marks and Spencer’s website, you can shop for beautiful wedding guest outfits such as floral midi dresses, lace bodycon dresses and long sleeved floral tea dresses. Pair with some Marks and Spencer’s stiletto heels and a flower fascinator and you’re good to go! If you don’t fancy wearing a dress then you can also pick up wide leg trousers and long sleeve, satin blouses. Add a nice handbag and a silky floral scarf to complete the look. Marks and Spencer has an excellent range of good quality wedding gifts, from practical homeware, to hampers and keepsakes. Shop for stunning dinner sets and gift the newlyweds a beautiful 12 piece dinner set that is perfect for entertaining guests. Or give them the gift of new bedding, with a luxurious bed set from M&S. Shop Marks and Spencer’s Autograph range and pick up super soft Egyptian cotton bedcovers, or why not go for a plush throw for the end of their bed? They’re perfect for the newlyweds to cuddle up with on a cosy night in. If you would prefer to treat them to something a little bit different then go for one of Marks and Spencer’s hampers. Choose from Champagne & Chocolate hampers, or the Kensington Teatime Treats hamper filled with everything you need for afternoon tea. Packed to the brim with scones, victoria sandwich cake, raspberry jam, tea and prosecco, it’ll make a delightful gift for the newly married couple. Or if they prefer savoury treats, why not go for the Tasty Tuck Box that is filled with crisps, pork scratching, biscuits, chocolate and beer – delicious! Marks and Spencer’s wedding and bridal bouquets are made to order and ready to collect in just 21 days, so you simply have to order online, sit back and relax, waiting until you can collect them. Shop for gorgeous bridal bouquets and coordinating bridesmaids bouquets; from luxury pink and white roses to white roses and freesias, there are tons of beautiful bunches. And it doesn’t just stop at bridal flowers either; you can also shop for table flowers such as box flowers, orchids and even bay trees. Remember to shop via the links on the Marks and Spencer’s Flowers page so you can earn cashback on your wedding flowers! Make Marks and Spencer your place to shop for all of your Easter weekend essentials. Whether you’re planning on relaxing with loved ones or you’re hosting a party for friends and family, you can find everything you need at Marks and Spencer’s. Shop via the links on this page so you can earn cashback on all of your Easter presents, groceries and more. If you’re planning on a big party to celebrate Easter this year then look no further than M&S. 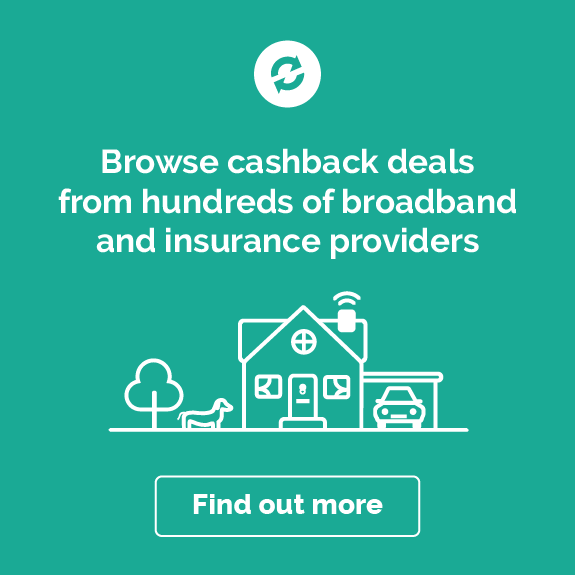 You can find everything you need under one roof to host the perfect party and you can even earn cashback when you shop through the links on this page. Pick up some party food and sharing platters to wow your guests with when they come over for Easter celebrations. Choose from luxury antipasti canapés, buffet essentials such as mini pork pies and sausage rolls, fresh fish canapés and mouth-watering mini quiches. With all this delicious food, your guests will need something to wash it all down with. Check out Marks and Spencer’s huge variety of alcoholic beverages with great deals on wines, prosecco, champagne and liquor. Try zesty whites, full-bodied reds and a bit of fizz for those who fancy it. And when you shop through the link on this page you can earn cashback on all of your party drinks. If you’re all partied out, or partying simply isn’t your style, then head to Marks and Spencer’s to get some essentials for creating a wonderful, relaxing atmosphere at home with your family. Pick up everything you need to have a superb Easter weekend with friends and family, from Sunday roast ingredients to Easter gifts and chocolates. If you’re planning on having an epic roast on Easter Sunday, then where better to pick up some quality ingredients than at Marks and Spencer’s? Choose from delicious joints of ham, beef, lamb and chicken, sides of salmon or haddock loins for the main course. You can get cashback on all sorts of services with Marks and Spencer. Save on your next family holiday with some of our great deals with M&S travel insurance or earn rewards with M&S car insurance and pet insurance. Head to our separate pages for cashback deals on special products like Marks and Spencer wines and flowers.